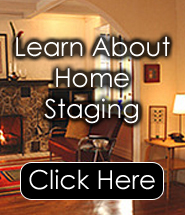 Taking a staging training course online could be the answer to following your dreams. How many times have you told yourself or your friends that you should start your own decorating or home restaging business? Even if you have only said it once, if you were truly serious about the idea, then you owe it to yourself to check out a staging training course. If you are already in the staging business, at Decorate-Redecorate you will find not only staging training available that could help you beef up your current business, you will also find a lot of valuable tools that can better organize your home staging projects, and you’ll also find lots of extras on design ideas and techniques that can make all the difference in your business. For those of you who have decided that a home staging or interior decorating business is the thing you want to get into, then getting that staging training is extremely critical for you. You just cannot go on gut instinct alone. That may help you a lot once you are on the job, but it will not teach you the basics you need to get started. It also will not teach you the important techniques you need to know about marketing and managing your new company. You know that you can have the best company in the world, and offer the best product there is, but if you do not know how to market it correctly, chances are you are not going to get very far off the ground. At Decorate-Redecorate, you will learn all the tricks of the trade from promoting your business to how to turn a room into a show place using the existing furniture. You will also learn about color, fabrics, carpeting, and the best ways to maximize each and every room of the home you are working with. You could even find yourself receiving a bonus from the happy homeowner whose house has gone from drab to fabulous thanks to your expert job. There is nothing quite as happy as a client who has quickly sold their house thanks to your turning their home into a show stopping place. If taking a staging training course online is something you have been seriously considering, then you owe it to yourself to visit www.decorate-redecorate.com and check out the affordable training courses that we offer. You will be finished with the course and on your way to running the business of your dreams quicker than you ever believed possible.